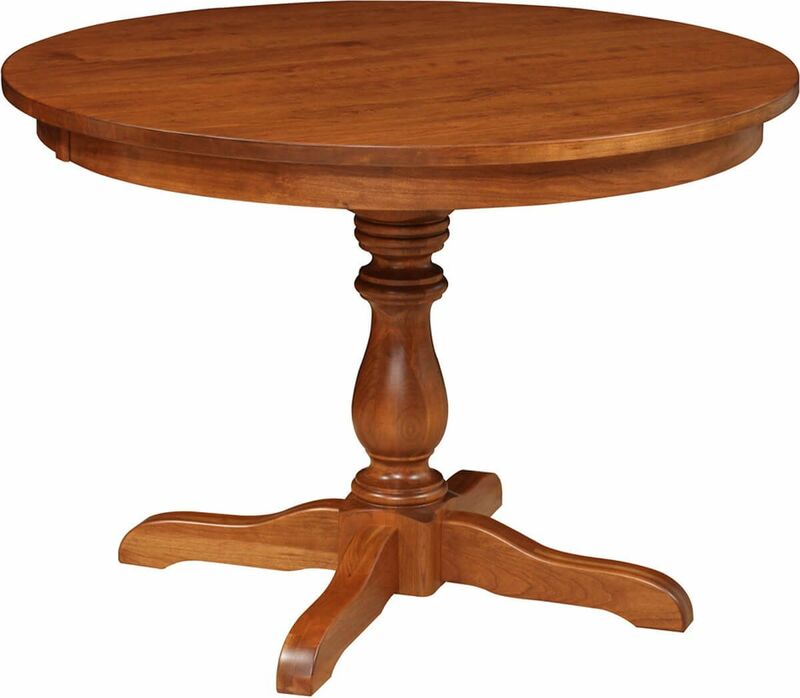 Our handcrafted Narvada Round Pedestal Table is conventional with an uncommon twist. Select your preferred American hardwood to get started on yours. Low profile feet at the pedestal base of our Narvada Expandable Dining Table include self-levelers to ensure an even eating surface. The robust, turned pedestal is an unorthodox wink at more classic designs found in leg tables. Anchored by hanger bolts to the pedestal, your Narvada Round Pedestal Table is a one inch thick example of American hardwood beauty. Our Amish craftsmen will handcraft your Narvada in the hardwood and edge profile you choose. Hand rubbed stains, hand sanded finishes, and hand applied catalyzed conversion varnish complete your Narvada Expandable Pedestal Table. 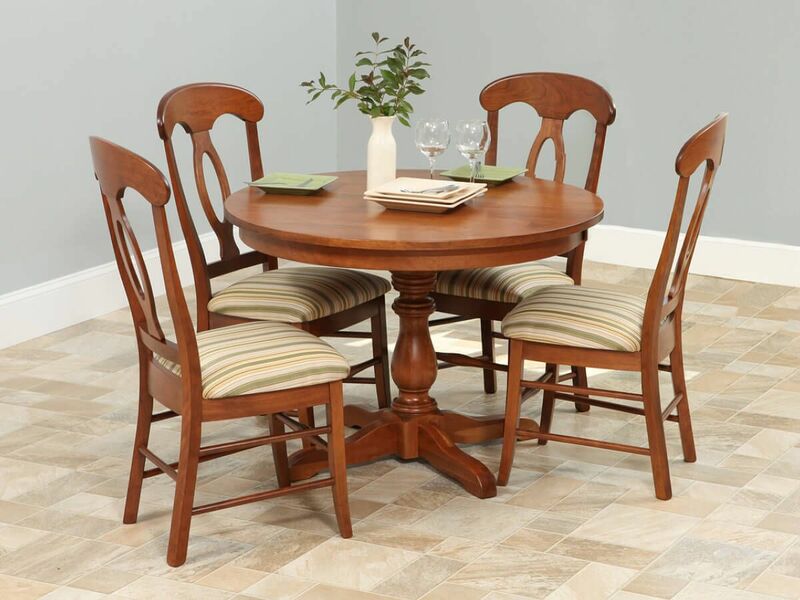 When designing your wooden pedestal table, consider that this piece will likely be in your family for generations. Design with care from the options provided or order in Cherry with a Cinnamon Stick finish, as shown, and contact us with any questions.